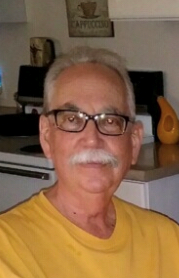 George Drutis, 73, of Baldwin Borough passed away on March 14, 2019 of natural causes. Beloved son of the late George and Lillian Drutis, George was the loving husband of Donna Drutis (Radocaj, Rodeheaver) for 30 years and caring father of Dane Drutis, who is a Senior Scientist at Unilever and married to Dr. Yu-Wen (Grace) Feng, R&D Director at PepsiCo. George, affectionately known as “Cookie” leaves behind 2 step children, William and Becky Radocaj, and 2 step granddaughters, Emily McCormick and Kendall Trexler. George has been a lifetime member, officer and trustee of the Dutch Club in Baldwin. George worked at US Steel as a Quality Controller and later retired from the Mt. Lebanon School District after 18 years. After retiring he enjoyed celebrating his wife’s heritage by attending and photographing pow-wows together with her family. He also enjoyed writing reviews for Google and posted hundreds of reviews for movies and restaurants. His interests included photography, science fiction, spending time with family, and he enjoyed sharing his fascination with the latest discoveries in space with his friends and family. Friends will be received on Wednesday, March 20, 2019 from 2-4pm & 6-8pm at the Cieslak & Tatko Funeral Home, 2935 Brownsville Road, Pittsburgh PA 15227. A short memorial service will be held after the 6-8pm viewing. A funeral service will be held at the funeral home on Thursday, March 21, 2019 at 11 am, with a luncheon to follow.